We have established a partnership with nypschess.com. Nanyang Primary School's Chess Club is an example what chess can do for students. Chess is taught as part of a "Mind Sports for Life" program within the school curriculum and it is the largest CCA in Nanyang Primary. In addition, there is a great variety of workshops, camps, exhibitions and chess-related trips during the whole academic year. 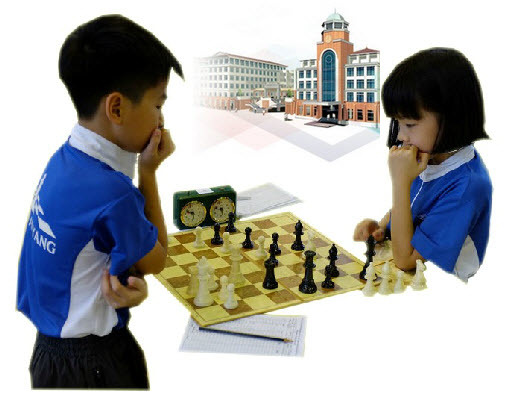 Based on unprecedented results during the national team and individual competitions for the past two years, Nanyang Primary won the "Best Primary School" Trophy in 2009 and 2010 awarded by the Singapore Chess Federation on yearly basis. There is an open chess tactics battle event on Saturday September 8th 2012 (CET 12:00 / SGT 18:00 ) to welcome NYPSchess.com. We hope that you will be part of this open tactics battle!